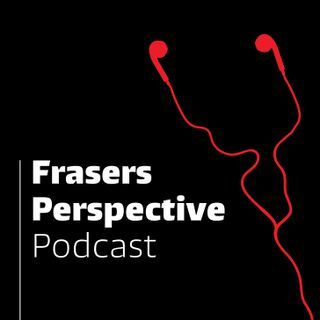 Frasers Perspective is a podcast series about property development, featuring the people who do it every day here at Frasers Property Australia. In our first episode host Daniel Goodfellow introduces Mark Cleveland, Senior Development Manager in Frasers Property’s retail division. “These days, we’re arriving at these centres by car and not by foot, but people are still wanting the experience of walking down a high street or a laneway… and that’s been key to everything that Frasers Property is ... See More looking at: experiential retail, but still at neighbourhood scale.” We call it the ‘super-neighbourhood’ approach: experiential centres at 10,000-30,000 sqm GFA, with a hyper-local retail mix and a bias toward entertainment and service tenants. Mark explains what’s driving this approach, and offers his perspective on the past, the present and the future of retail development in Australia with a deep dive into the planning for Eastern Creek Quarter in Sydney's west. Frasers Property Australia is a diversified property group, active in residential, retail, commercial and industrial property, right across the country. We began developing property in Australia in 1924, and today we’re part of the global Frasers Property Group, with S$33 billion in assets in more than 80 cities around the world. In Australia and across the globe, we believe ‘experience matters’, and that puts our customers at the heart of our business.